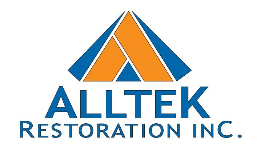 Testimonials | Alltek Restoration, Inc.
“We recommend the services of Alltek Restoration. We were focused to ask the previous contractor to leave due to unacceptable work and behavior. We were skeptical in hiring another contractor, until we found Alltek. The timeline was brought back up to speed and the quality of work and reliability was impeccable! We passed all building inspections with ease. We felt that Alltek Restoration was very fair, ethical and cared about out project." “Alltek’s crew is professional and timely. We are particularly pleased with the quality of the work. Alltek Restoration has done multiple jobs on our home and we continue to be pleased with their work."